This light and delicious smoothie packs a wallop of high quality protein, EFA's, and essential nutrients, vitamins and minerals. A great way to start the day, as a snack, or as a meal substitute if you are trying to curb calories without sacrificing nutrition. 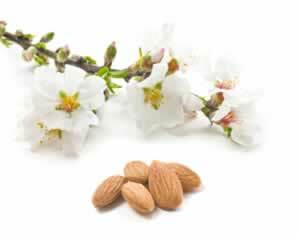 You can use soy milk, or low fat milk instead of almond, but the almond milk is the lightest choice. Unlike premixed commercial mixes, the barley powder (from Mountain Rose) and the hemp protein powder(Nutivia brand) contain no artificial flavors, chemicals, or hidden sugars. Roughly 250 calories.